Anthony Mercaldi has over ten years trademark and copyright experience. A former Trademark Examining Attorney at the U.S. Patent and Trademark Office (USPTO), Mr. Mercaldi concentrates his practice on trademark and copyright clearance, prosecution, licensing, and litigation, as well as matters involving right of publicity and entertainment law. 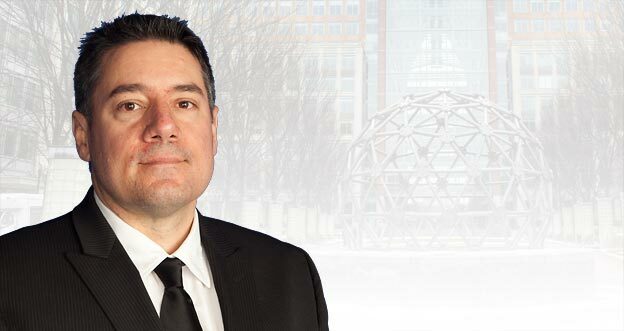 Mr. Mercaldi assists clients in all aspects of U.S. trademark clearance and prosecution, including advising clients on the availability of new trademarks in addition to handling all matters before the USPTO, including matters before the USPTO Trademark Trial and Appeal Board. Mr. Mercaldi also has extensive experience handling trademark disputes, as well as negotiating and drafting settlement and coexistence agreements. Mr. Mercaldi manages trademark portfolios in all fields, including but not limited to medical devices, computers and computer software, cosmetics, clothing and apparel, foods, beverages and nutritional supplements. Mr. Mercaldi graduated with a bachelor’s degree in U.S. History (with Honors) at Stony Brook University in 1991 and received his law degree from the University of Dayton School of Law in 1995. He is admitted to practice law in New York. Mr. Mercaldi concentrates his practice on trademark and copyright clearance, prosecution, licensing, and litigation, as well as matters involving right of publicity and entertainment law.